Situated in the southeast of England in the county of Essex, Rayleigh lies just over 30 miles to the east of London. With a population of over 32,000, Rayleigh is found between Southend-on-Sea and Chelmsford, and is a great option for commuters to London. At My Home Move Conveyancing we have been developing our expertise in local property markets since 2002, allowing us to bring a specialist, fixed fee conveyancing service to our clients in the area. You will require the services of a lawyer if you are planning on buying or selling property in Rayleigh, in order to complete the legal work on your behalf. 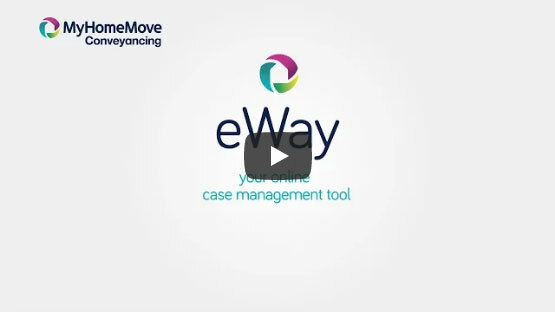 Select My Home Move Conveyancing to be your Rayleigh conveyancers and take advantage of our award winning customer service, innovative use of technology and knowledge of the local market. We offer a fixed fee conveyancing service with no hidden extra costs, so you know exactly what you’re going to pay from the outset. If you don’t end up moving for some reason, you won’t have to pay us a thing in legal fees. We assign a dedicated conveyancer to each of our clients, providing you with access to their expertise and a consistent point of contact, who will regularly update you on the progress of your case. At My Home Move Conveyancing we can supply conveyancing services in Rayleigh to customers across the local area, from central spots close to High Street to neighbourhoods further out of town off Rawreth Lane and close to the lovely Lords Golf & Country Club. The average house price in Essex is £232,825, while in Rayleigh over the past year the overall average sale price was £296,912. Most sales involved semi-detached properties, which went for an average of £274,666, while detached properties sold for £387,159. Terraces fetched an average price of £252,783, and flats £166,752. Evidence of the local area’s settlement dates back to Roman times, although it was the Saxons that developed a more established village where modern Rayleigh now stands. Nowadays the town is part of the District of Rochford, and offers a great location close to the southeast coast of England and London, making it hugely popular among commuters. As you would expect, Rayleigh has excellent transport links for delivering commuters to the capital each day, with trains taking just over 40 minutes to reach Liverpool Street Station. The A127 heads east to Southend-on-Sea, and west towards London and the M25, linking Rayleigh to the national motorway network. There is a good selection of schools in the area for parents with children to run their eye over, with primary options including Rayleigh Primary on the adoringly-monikered Love Lane, Grove Wood Primary and Our Lady of Ransom Catholic Primary. Sweyne Park School and FitzWimarc School on Hockley Road provide the secondary options, while Rayleigh also plays host to the Masters Performing Arts College. All properties in Rayleigh will fall within one of the following council tax bands.